You’ve worked long hours painting a tapestry of words and created a work of art. Now you want to share your story with the world. It is time to find a publisher who will love your book as much as you do. Finding the right publisher can be a harrowing experience. Like many beginners you scratch your head, wonder who to contact and how to present your work. You are also concerned about how you will be paid. Caution is vital. Wolves hide among the sheep in the publishing world. Avoiding pitfalls and common errors beforehand can save a new writer frustrations and heartaches. Prior to any submission, your manuscript should be prepared as professionally as possible. The best start is to objectively read your work as a critic. I’ve listed a few simple hints to avoid that dreaded “reject” file to get you started toward the goal of publication. 1. The opening sentence should make an editor/publisher want to read further. Many professional editors read the first paragraph and quickly determine if they are going to keep reading or toss the manuscript in the sludge pile. Be sure the opening sentences set the scene as dramatically as possible. 2. Check punctuation and capitalization thoroughly. Nothing turns an editor off more quickly than poor grammar and punctuation. Many writers use computers which have a spelling and grammar check application to assist in pinpointing basic errors. Use it. Understand when and when not to use a comma. Inappropriate use of a tiny period with a tail can cause your book to be rejected. Why would an editor take time to read your work if you weren’t careful enough to use basic writing tools? 3. Watch for over usage of common words. My editor had firm rules of what was expected from writers, such as “No word can be used more than twice per page.” He meant what he said. I had a habit of using the word as as though it were the only word in my vocabulary. The word that was another offender. A writer should know how to use substitutes for over-used words. Check your manuscript carefully, and always have a good thesaurus at hand. 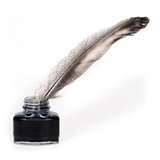 Once your manuscript has been polished, it is time to search for someone to purchase your work. Many think using the internet is the best place to find a publisher. The on line publishing world is filled with sharks and fly-by-nights ready to devour your money and your work. Caution is the word best used to protect your precious work. Research these sources as thoroughly as you can. I used editors and preditors.com to find information, both positive and negative, about potential publishers. One of the best resources for a writer is a comprehensive book called The Writer’s Market which will guide you in how to professionally submit your work. Research which publisher would be interested in your particular genre. A romance publisher may quickly dismiss a novel about murder mysteries. Therefore, familiarize yourself with the genre the publisher produces prior to your submission. My next session will focus on the query letter process. Tune in. If you have any questions, contact me via email at sl_winchester@yahoo.com. I would love hearing from you. S.L. — No coincidences. The word “as” is one of my favorites to use. Since reading your article, I’ve become more aware of just how much I use that word myself. Thanks for bringing it to my atention. Good article!